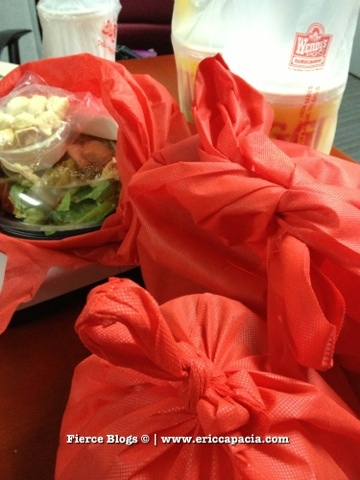 It was a busy day at the office today which made us order food delivery. As usual, it is always tough to decide decide what food to get. Well, after 10 minutes, we all decided we wanted Wendy's. After 40 minutes our orders arrived and I was surprised to see these cute, red eco bags. It is sure so refreshing to see a company who also cares and protect our environment. I think this merits a fierce thumbs up! I just wish they also do the same when it comes to packaging the drinks Instead of using the red eco bags, they can use a white version to clearly identify which is food and drinks. Wendy's Philippines Facebook Page here.